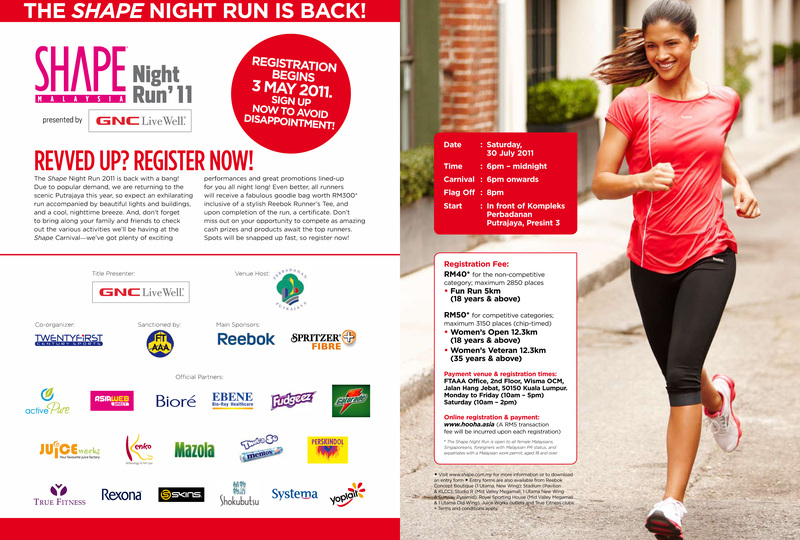 Click on the following links to download race info and registration form. The posters can be downloaded in pdf format via the links I have listed above (Race info). 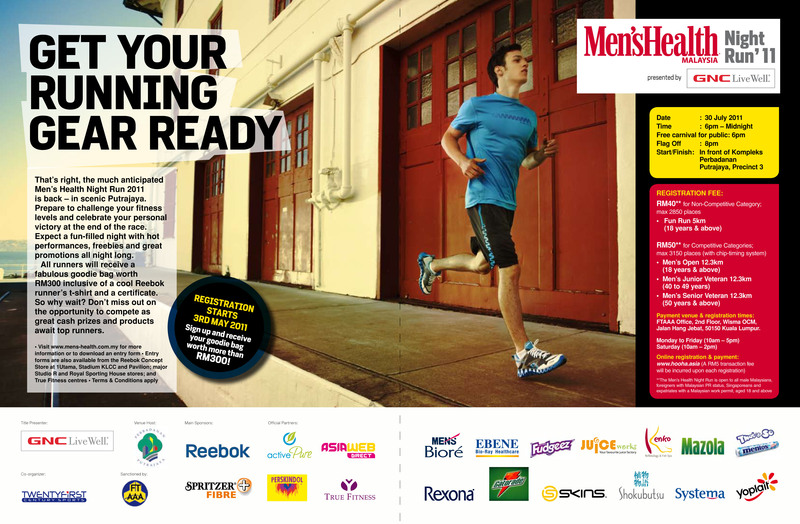 Thank You to Shape and Men’s Health Magazine for inviting missjewelz as media at your run. p.s. to all missjewelz.wordpress.com readers and followers, let’s see what sort of race review and media coverage I can do for this event as I was invited as media. A first time for me being invited as one. Usually sendiri invite : register, run, snap2 photo, upload and share with all of you ! 🙂 Just like Shape Run 2010 – I was there with my jeans and slippers, snapping photos and helping out at the drink station. Do shout ‘missjewelz’ if you see me ! (just like some of you have done in previous races . Thank you! ) And Oh…. 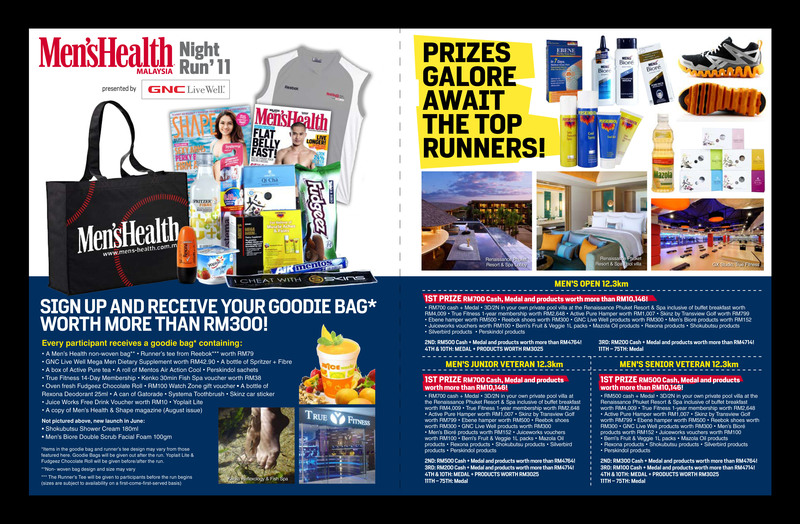 I just remembered I was featured in an interview article in Shape Mag 2 years ago (April 2009) in which Azura Zainal was the cover girl. Mariana Mohammad (then national duathlete) and I (athlete cap sos tiram jenama Maggie) were interviewed by Meera Ammani from the Shape mag. The re-cap here. Defeats the spirit of running as this expensive run is becoming a cash cow event! How to encourage teenagers to live a healthier life by taking up running? RM40, RM50 to them is affordable??? ?